Our office is equipped with digital x-ray units in every room. 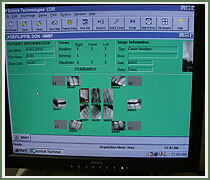 These units use digital sensors (not film) to take x-rays of the mouth, projecting these images directly onto a computer screen in 8 seconds. Because these sensors are very sensitive, we are able to reduce the radiation needed to expose on images by 90%. 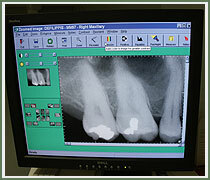 Finally, the images themselves are larger and much more detailed than conventional dental x-rays allowing, for better diagnosis.